The company argues that from a sustainability angle, it is important to process UK-collected raw materials into high grade recyclates and products at home, as well as in terms of maximising domestic industry potential and creation of jobs in a young and growing recycling industry. Axion Director Keith Freegard says: “Getting the right quality and consistent, regular volume is a real issue and many share serious concerns over valuable resources being lost to our industry through export. 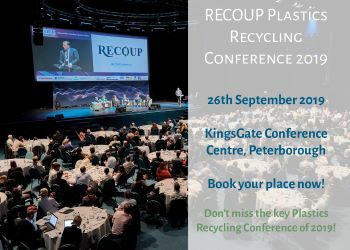 There’s also the issue of maintaining confidence with the 70% or so of households that are diligently collecting and sorting their plastic packaging waste and those making the effort to take WEEE items to Civic Amenity sites for recycling.